If you’re an animal lover, you’ll often find yourself wishing there was a way to take in more furry or feathered friends, without the maintenance, mess and noise. Sadly it’s just not possible for most of us to turn our homes into zoos, no matter how much we might want to do it. But there is at least one way to grow your family of pets beyond the actual capacity of your home: through art. Artists always have been, and always will be, inspired by the natural world, so there are plenty of animal-themed art works to go around, and you can always be sure of finding one that caters to your tastes. Any one of the following sculptures would make a delightful addition to a sadly pet-less house. It might not be quite the same as hearing the patter of little paws welcome you home from work as you walk up the driveway – but then at least you don’t have to worry about walking these particular critters. Sick of ants thinking your food is their food? This perky little guy will put an instant stop to that. 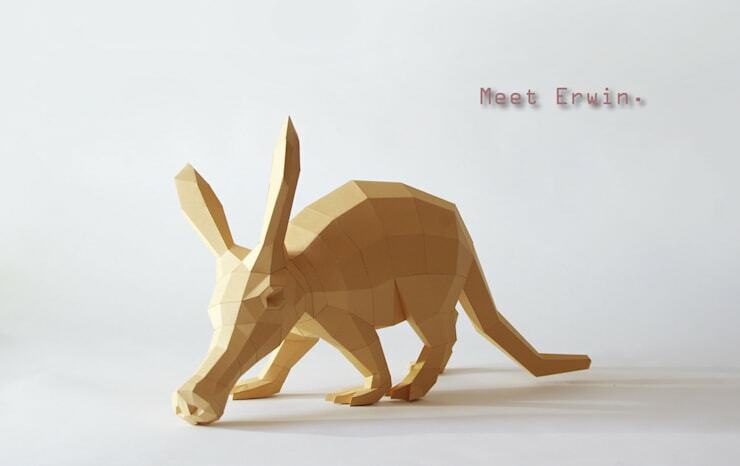 Erwin’s creator specialises in geometric folded paper sculptures. 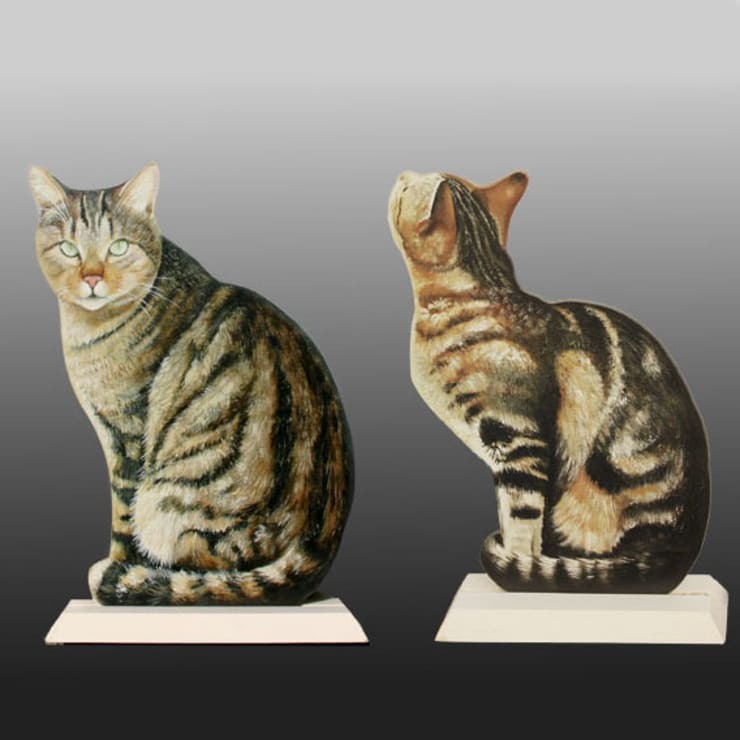 As you can no doubt imagine based on this adorable example, each one makes for a fantastic conversation piece and would be a lovely addition to any home. It’s hard to imagine anyone not wanting to welcome the very handsome Erwin into their family – with those ears and that snout, he has the potential to be the animal kingdom’s top supermodel (no pun intended). Lock up your lady aardvarks. From the same creator as Erwin (can you see the family resemblance?) comes this great piece. If you’re one of those who has always fancied a mounted animal head on your wall but never wanted to, you know, actually have a dead animal looking down at you, this is your answer. 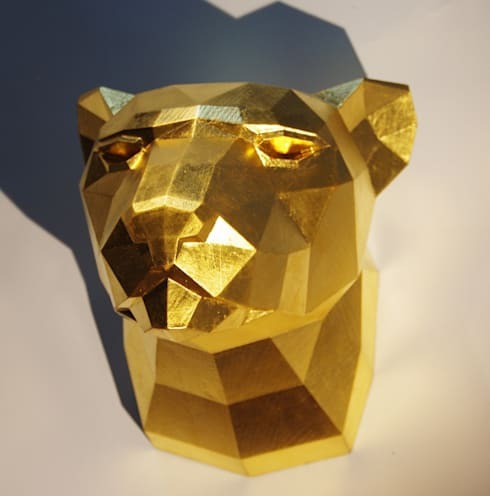 Again, the geometric nature of the design brings a contemporary edge to the sculpture, and the choice of gold is the ideal match for this rich and regal-looking panther. His lack of a mane may mean he’ll never be king of the jungle, but he can certainly reign over your living room. 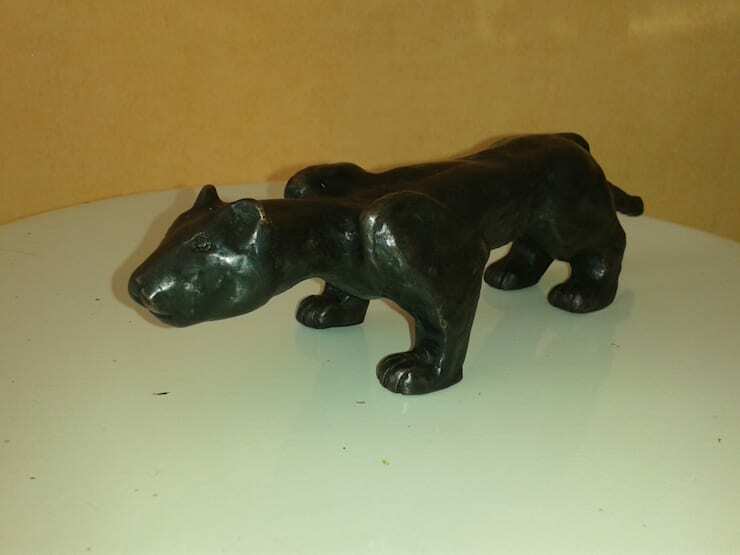 There are many other sculptures in this style available too; try placing a few different ones around your room for a fun and quirky feel. Well, almost—especially if you buy both of the available poses. After all, most cats don’t really do all that much except for stare angrily at you and occasionally look up at the birds. This one has both bases covered. OK, so sometimes they sleep, too. Most cats do a lot of sleeping. We have to admit this one falls short in the sleeping department; but that just means there’s all the more time for you and her to stare angrily at one another. And with those beautiful green eyes and that lovely stripy jacket, she’s perfectly worthy of being stared at. If the feline family seems a little overrepresented in this list, that’s probably because it has such excellent aesthetics. Few creatures present such a gift to sculptors. Just look at this formidable hunter, whose sweetly stylised pudgy paws and stocky legs can’t detract from that sleek gracefulness so unique to cats. 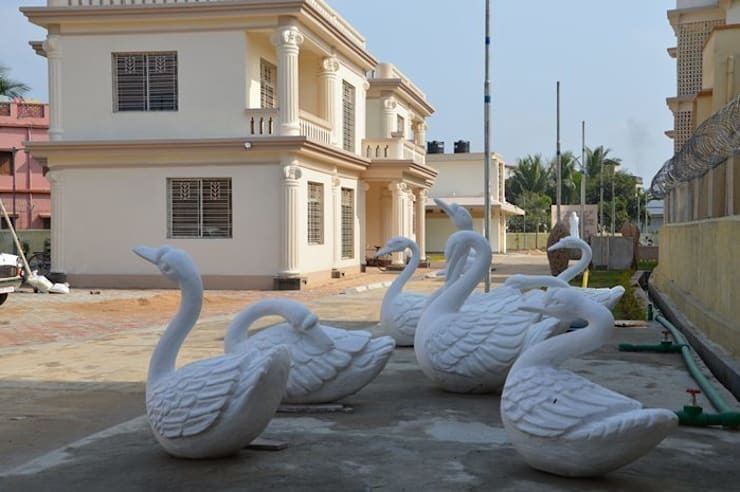 Each one of these elegant swans would be a standout piece on its own, but seen all together they’re an impressive sight indeed. The natural variety in their poses is what makes them so special and so similar to the real thing. How would they look paddling down your front lawn? Which of these friendly animals would fit into your household best?